eCSentric crew grabs their first win! 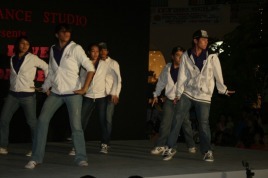 we won all categories (group dance and group battle) at SM Southmall's DANCE THRILLA! we made plenty of friends and even got to meet Team Vibe philippines before they left for Amsterdam for the European Streetdance championships wherein they bagged 3 medals for the philippines. eCSentric crew performed one dance number during Valentine's Day "For The Love Of Dance" together with Floor Geeks and Stomp Dance Studio. 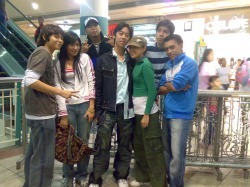 Held at Alabang Town Center. eCSentric at Glorietta Mall! Together with the Stomp Dance Studio featuring Christian Sekhanan's first ever stomp students! Thank You Ms. V and Mr. Robert Salgado! Performed a dance number in BF Club together with the 2 most popular breakdance crew here in the south, Floor Geeks and Funk Roots! Also with the special guests, Christian Sekhanan and Marvin Manalo giving a special song number! Event produced by IDK Productions. mall show performance of eCSentric at festival super mall, filinvest! eCSentric placed 1st in the eliminations and 2nd place in the finals. 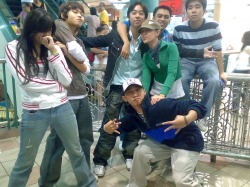 The one and only eccentric hip-hop dance crew in the wicked south! heck, maybe even in the entire National Capital Region! 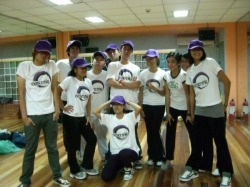 eCSentric is composed of dancers of beginners to exprienced levels all dancing under the same color (purple). working closely with Southside New Breed and other constituents from other crews. Directed and Choreographed by Christian Sekhanan (originally from Southville Dance Troupe and UST bio pool of Talents). watch out as we bring modern hip-hop to you in a very eccentric way. "there's no harm in being a little eccentric..." - Amanda Peet from the movie "Martian Child"